When God is the center of our life there is hope and purpose, but the life without Him does not fare as well. When we have conflict in general or on a job it can of course be upsetting, but as a Christian we have the ability to turn to God for strength to endure unlike those who have unfortunately decided to make things not run so smoothly. 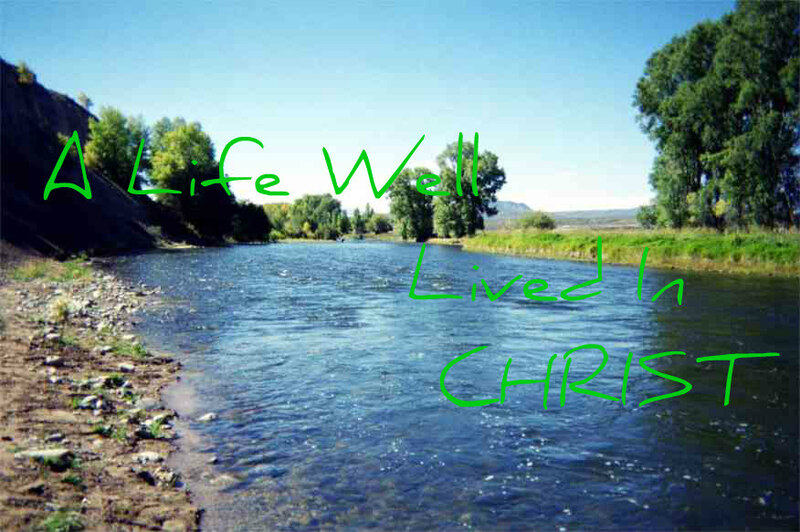 God blesses the life that is lived for Him, therefore it is a life well lived! (1 Corinthians 15:57-58). But thanks be to God, which giveth us the victory through our Lord Jesus Christ. Therefore, my beloved brethren, be ye stedfast, unmoveable, always abounding in the work of the Lord, forasmuch as ye know that your labour is not in vain in the Lord. We can live a good life when our sights are set on serving Christ, in fact as Christians we no longer live as we once did but are crucified with Christ who now lives within us by His spirit (Galatians 2:20-21). I am crucified with Christ: nevertheless I live; yet not I, but Christ liveth in me: and the life which I now live in the flesh I live by the faith of the Son of God, who loved me, and gave himself for me. I do not frustrate the grace of God: for if righteousness come by the law, then Christ is dead in vain.